Coppola spares no expense on each and every shot. And why would she? Presumably, she doesn't have to. But her style is truly unique and always over the top. For that I've appreciated everything she's made. She's an amazing character writer and director. The typical Hollywood plot formula is simply not for her, and she mostly embraces that. 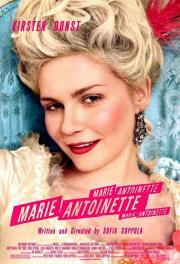 My only grievance is that Marie Antoinette is a just a bit too dry, and gets a little repetitive. Dunst wouldn't have been my first choice. Feb 16, 2018 cenk k.
An object lesson in film's ability to convey complex, contradictory feelings. Forget the soundtrack or the lavish production design, which renders the era in gaudy, confectionary pastels; it's the casting that's most startling, not least Jason Schwartzman's ineffectual Louis XVI. Yet for all its satire of aristocratic pomposity, there's an undeniable glamour to the monarchy's idyllic lifestyle, and the tragedy of Marie's own circumstance is not entirely swept away by righteous revolution. A visual killer and your ears are up for an equal treat also. May come off bombastic yet Dunst screamed emotionally invested to me. Good cinematography =/= Good set & costume design. Everything is shot in an ugly, overly high-key and overly diffusive light that flattens the image and makes it all so two-dimensional and uninteresting -- Coppolla's command of the image in 'The Bling Ring' nearly a decade later represents a telling What-If had 'Antoinette' come out at that point of creative evolution, instead. Didn't care enough about the rest of this to delve into its historicity or gender politics. A visual treat punctuated with the silences that Coppola is known for. This film is about the solitary nature of a woman constrained in a situation she has no power over.